October is our veteran horse month. 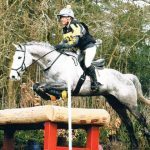 Dental disease is particularly common in older horses, and its therefore even more important to keep a close eye on your older horse’s mouth! 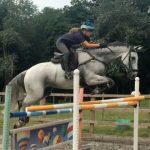 As you know, we’re passionate about equine oral health and work hard to educate horse owners in the importance of regular dental checks, working with equine veterinary dental specialists with complicated cases which require advanced investigation or treatment. 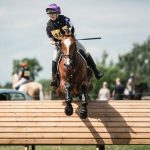 In veteran horses, it is essential a detailed oral and dental examination is performed at least annually, ideally bi-annually, with some horses needing more frequent checks. 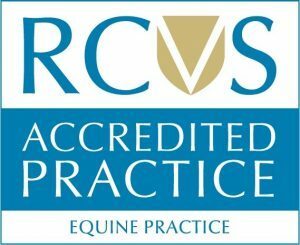 It’s important this detailed examination is performed by a vet or qualified equine dental technician, and will involve the use of a gag, light source, mirror. Our focus when performing oral exams is to identify dental disease (like the work human dentists perform), rather than just a quick rasp as has historically been the focus. 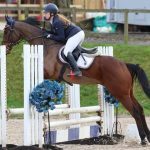 We generally recommend these detailed exams are carried out with light sedation – we can do a far better job with the horse still, not chewing and moving its tongue around. It may be possible to rasp teeth without sedation, but it’s challenging to spot subtle oral disease! We all know how painful mild dental disease can be, and things as simple as oral ulcers, whether on the tongue or the cheeks are awful to cope with despite bonjela, making us keen to avoid certain foods or food altogether in certain dental diseases. By considering this, and the fact horses are prey animals and stoic in nature, we can appreciate how dental disease often goes un-noticed. 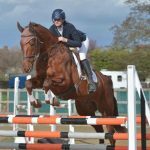 No doubt, equine dental disease causes suffering – this might be in poor food intake and thus weight loss, or just generally feeling miserable and suffering quietly. 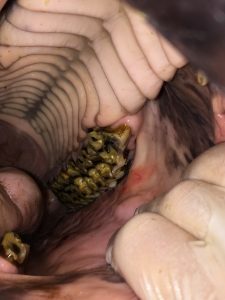 In horses of any age, one of the most common findings at dental check-up is general enamel overgrowths, or sharp points. These are sharp points that develop on the outside of the upper cheek teeth (nearest the cheeks), and the inside of the lower cheek teeth (nearest the tongue). These can cause painful damage to the surrounding soft tissues including gums, cheeks and tongue, in some cases causing ulceration – we all know how painful mouth ulcers can be! Tight nose bands will easily press the cheeks against these sharp points making the horse’s mouth sore. Fortunately, they’re easy to deal with, and are reduced with a rasp. 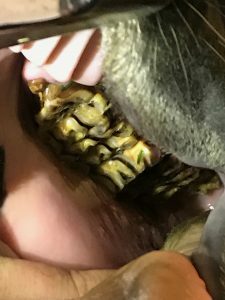 This is non-painful, as only the surface of the teeth are reduced (unlike humans, horses do not have pain sensation near the surface of the crown). Power raspsare best, as they reduce the sharp points quickly and without discomfort. 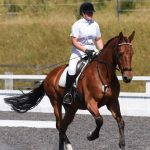 They allow the handler to use less force and are therefore less likely to damage the surrounding soft tissues. All our vets carry power rasps when carrying out oral/dental exams. 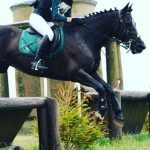 Older horses are more likely to develop diastemas, these are gaps between teeth which allow food to trap, lowering pH, causing gingivitis and gum disease, with food sometimes getting so stuck it rots and damages the underlying bone. Deep pockets can form in the gums, as far as the tooth root or bone causing severe infection. Diastemas may be caused simply because the deeper portions of the tooth are narrower than the younger crown. As the teeth continually erupt (approx. 2-3mm a year) throughout their lifetime it is natural for the narrower part of the tooth to be in the mouth. There are many other reasons diastemas form, including poor oral conformation and focal overgrowths (whereby the overgrown tooth wears the opposing tooth excessively). It’s important diastemas are spotted quickly so they can be dealt with, as they result in very painful conditions which often cause quidding and weight loss. Depending on their severity, they may be managed with remedial rasping, to reduce opposing overgrowths and regular flushing to clear food material and ensure the underlying gingiva remain healthy. We will recommend dental x-raysof more severe cases, to ensure the underlying tooth roots and bone are not affected. 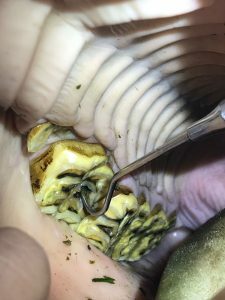 More severe diastemas may need filling or widening following flushing, we’ll often refer to an equine veterinary dental specialist for this treatment (can usually be performed at the yard). Caudal infundibular carie in an upper cheek tooth, food material has been flushed out of the decay pocket, a dental pick highlights area of decay. (tooth decay) are thought to increase the risk of tooth root infections, loose and/or displaced teeth can create space between the tooth and gum margin, allowing bacteria to get underneath the tooth and cause infection at the root. Fractured teeth are another risk factor for infection. Cushings Disease (PPID) can cause issues with a reduced immune system, increasing risk of infection. 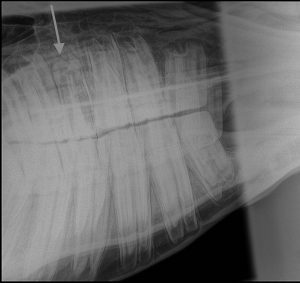 Dental radiograph (x-ray) showing upper cheek tooth with evidence of infection (arrow). Definition of tooth root is lost with gas shadowing at root. to the mouth. Its vital horses receive a detailed dental examination using gag, light source and mirror to check for these subtle symptoms. 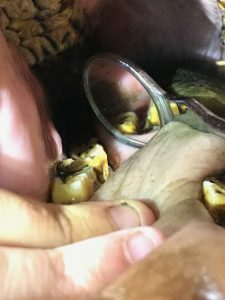 Displaced teeth are often found in older horses, and cause problems including increased risk of infection and fracture, as well as soft tissue trauma as the sharp edges aren’t where they would be usually and cause rubs and lacerations on the gums, cheeks and tongue. Its important these are monitored closely and sharp edges reduced regularly – in these cases we often recommend dental examination every 3-6 months. 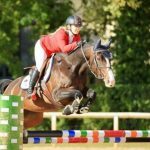 Focal overgrowths and associated excessive wear seem to be more common in veteran horses. This is often due to tooth loss or expiry (where the tooth has continually erupted and been worn down so little-no tooth remains). If a tooth is lost or expired, the opposing tooth will not be worn down at the same rate as others, and often becomes overgrown. This can lead to painful abrasions and wear on the gums, tongue and cheeks. Focal overgrowths are reduced with a rasp, but often need to be done gradually to prevent exposure of sensitive pulp. We may recommend repeat visits every 8-12 weeks for further reductions. 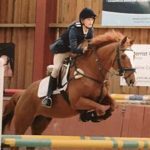 Equine dentistry is a continually evolving area of equine veterinary medicine and we promote routine preventative dental care as a vital part of welfare. Remember, similarly to our human dentist equivalents it is important to have regular dental checks with a focus on identifying early signs of problems allowing quick treatment, and preventing painful dental disease developing. Horses are by nature stoic animals following their evolution as prey animals, and often do not show us signs of pain. 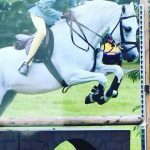 Older horses are more guilty of this, as many are no longer ridden we do not identify subtle behaviour changes which may indicate pain in the mouth. As we know, dental disease can be a debilitating condition so it’s important we find it when it’s present! If you’ve any questions about routine dental care please don’t hesitate to get in touch with us at the practice.